This is the new cover of the “European News” Magazine for Janauary 15, 2019. This will replace “Das Schwarze Brett” magazine and will be starting at 16 pages and slowly building back up to 24. The related website is www.europeannews.ca and I hope you make use of the classified ads and opportunities to advertise your events. 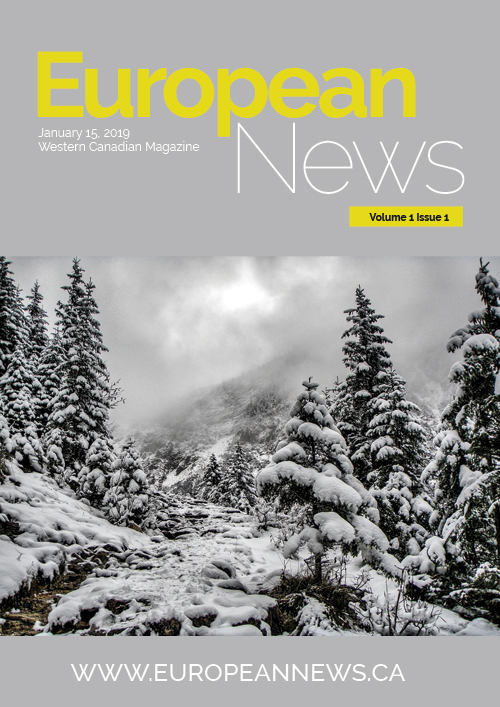 Or contribute something to the magazine, such as a press release, event listing, an interview or information on a new or growing company in the European Community.